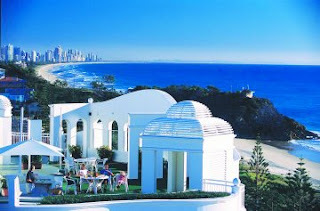 We've been camping out at the lovely Sands Mediterranean, Burleigh Heads. Pictured is the rooftop area. Days have been filled with swimming, walks on the beach, good food, family togetherness.